1 What is a Caffè Americano? 1.1 How to make an Americano at home? 1.2 How to make Caffè Americano with milk? How to make an Americano at home? To be able to make Americano at home, you will first have to learn to make Espresso at home. Making Espresso at home is a tricky job. Espresso machines produce an irresistible cup of coffee because they are equipped to exert pressure on coffee beans, a process that gives Espresso its idiosyncratic flavor. Espresso machines are well-equipped to exert pressure that is nine times higher than the normal atmospheric pressure. Making espresso at home is tough because it is impossible to exert the kind of pressure that an espresso machine does. However, with a few simple tricks, this can be fixed. 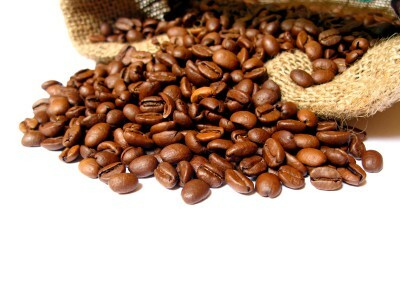 For starters, to create a good espresso shot, buy fresh beans and ground them right before you make the coffee. Ground coffee loses its aroma over time and thus, an espresso made from stored ground coffee will not taste good. Likewise, you must ground coffee well ― too finely grounded coffee will leave a bitter taste in mouth. On the contrary, coarsely grounded coffee will taste watery. Once you have prepared freshly grounded coffee, take a coffee basket or a moka pot. You will need this pot to make coffee at home. Pour about half a cup of water in the bottom part of the moka pot. Add to it, a quarter cup of freshly grounded coffee. Allow the coffee to brew. Once the water starts boiling, it will extract caffeine from coffee. Let the coffee brew until you are left with only a quarter cup in the pot. Your espresso shot is ready. Now, have you been wondering about how to make an Americano at home? It’s pretty easy. To make an Americano at home, start by pouring hot water in a coffee mug and heating it in an oven. Pour a 3 oz espresso shot into a coffee mug. Add to this, an equal amount of hot water and your Caffè Americano is ready. If you prefer a strong coffee, you can add extra doses of espresso shots. Likewise, if you like your coffee to be light, you can dilute the taste of espresso shots by adding extra water. 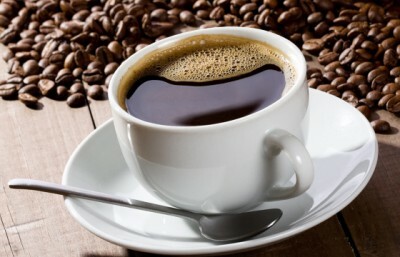 Since Caffè Americano is a strong coffee, people prefer to consumer it without sugar. Likewise, although Americano is usually consumed without milk, there is no set norm that says that you cannot add milk to your mug of Americano. To suit your personal taste, you can also make an Americano with milk. How to make Caffè Americano with milk? Start by pouring a 3 oz espresso shot into a coffee mug. Add water to it in an equal amount. Next, pour about two spoons of steamed milk. Do not add too much milk as it will neutralize the taste of the espresso shot and hence, the Americano. The best part about this coffee is that it can moulded into any recipe. Did you know that Caffè Americano tastes even better with ice cream? Yes, a hot americano served with a scoop of frozen ice cream will give you joys you cannot even expect. To make Caffè Americano with ice cream, all you need to do is make Americano as stated above and add a scoop of ice cream to it. Your hot and cold beverage is ready to exhilarate your senses. If you do not like a hot coffee as much as a cold one, you need not worry. You can improvise the recipe for a hot and steaming cup of Caffè Americano and slightly twist it to make a cold glass of Iced Americano at home. How to make Iced Americano at home? Making Iced Americano is really simple. Start by making about 2 cups of Caffè Americano. To make this, mix one full cup of an espresso shot with a cup of hot water. Your Caffè Americano is ready ― store it in a freezer and let it cool for about 3-4 hours. Take an apricot and lime and cut it into 4 slices. Take 6 ice cubes in a long glass and add sliced pieces of lime and apricot to it. Add to this iced Caffè Americano. Add your personal touch with some mint leaves. Your Iced Americano is ready. Iced Americano is a very refreshing drink. Not only is it easy to make, it is one of those drinks that freshens your mind after a busy day at work. You can also include it in a party that you are throwing for your friends. In this blog, we have already discussed some innovative ways of making Caffè Americano. However, to make your life a little more easier, we will discuss some more Caffè Americano recipes. If you do not like the taste of lemon or apricot, you can also make iced Americano coffee with milk. To prepare this, start by making two cups of Caffè Americano and put them in the freezer to get chilled. Take these out after 3-4 hours and pour the coffee into a blender. Add milk and blend. Pour this chilled coffee into two glasses. Add a few pieces of chocolate or sprinkle some cocoa powder to give it your personal touch. Your Americano coffee with milk is ready. To make iced Americano with cream, start by making two cups of Caffè Americano. Though, as has been said before, you must mix espresso shots and water in equal quantities to get the classic favour of Americano, you can tamper with ratios to create a coffee base that’s suited to your taste buds. Once your Caffè Americano is ready, keep it in the freezer for 3-4 hours. The coffee should be freezing when you take it out. Put twelve ice cubes in two different glasses. Add chilled coffee to each glass and add some more water. Cover the top with cream. You can use different kinds of cream: white cream, caramel-flavoured cream, vanilla cream, etc. Sprinkle some sugar, coffee or cocoa to provide that extra flavour. You will love the taste that cream adds to your chilled Americano coffee. To make iced Americano with Syrup, start by making two cups of Caffè Americano. Put these in a freezer and leave for 3-4 hours. You can either choose to create your own syrup or buy a bottle from the supermarket. From almond and vanilla to blackberry and cinnamon, there are many different types of syrups available in the market. In my opinion, it is always easier to buy one. Take two glasses and fill them with ice cubes. Once your Americano is cold enough, pour it in the two glasses. Add your favourite syrup and stir well. While you can always choose to add something extra, Iced Americano with syrup tastes best with nothing extra added to it. Well, if you have struggled with ‘how to make an Americano at home’ in the past, we hope that this blog has helped you find some really easy answers.